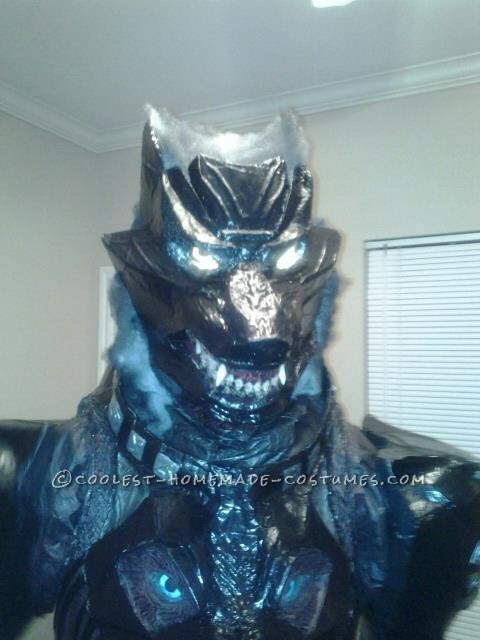 The costume that I am submitting is called Wolf Bane. It is a costume that took me 3 months to create. The materials I used to create the costume was cardboard boxes, masking tape, trash bags, glue gun and paint. This is a costume that I basically thought up in my head and decided to create. When I first wore this costume the reactions I got were amazing. The first reaction I got was your typical how scary it was and how the costume was so amazing. When people found out what I used to create the costume they couldn’t believe that it was created with cardboard boxes and masking tape. When it is dark and I turn the eyes on the Wolf Bane becomes really scary. 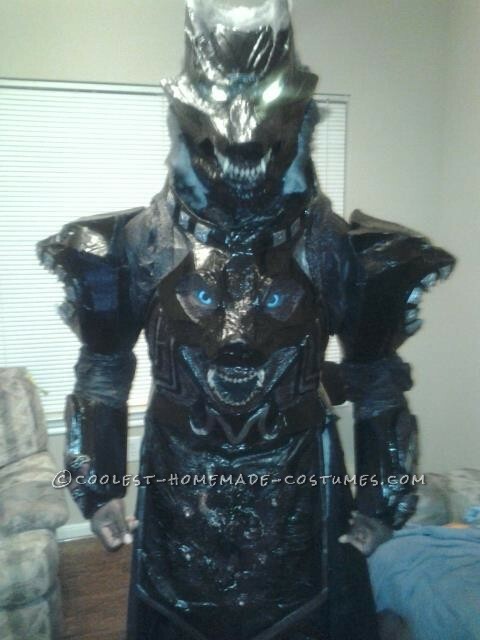 The costume stands over 6 feet tall and if you seen me walking down the street at night with the lights shining you would be amazed and terrified at the same time. This costume means a lot to me being it was the first costume I have ever made. I was amazed personally that I could create it in the first place. I literally just sat down kind of sketched out what I was thinking and just started folding and gluing. I was really amazed at what could be done with the cardboard boxes. By folding and manipulating it, I was able to make it into what I wanted it to look like. I have amazed myself with what I can do with cardboard and tape. People are mesmerized with the outcome of the costume and have asked me to create more. I have started thinking about creating a new costume to see if it will come out like this one or if it will be better. 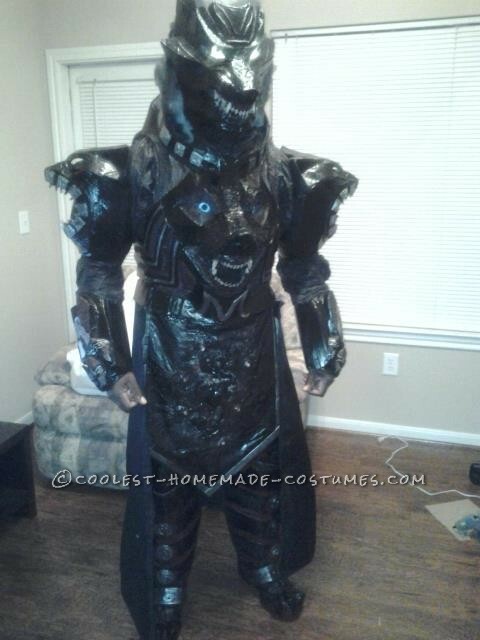 Making costumes like this is a challenge and full filling at the same time.